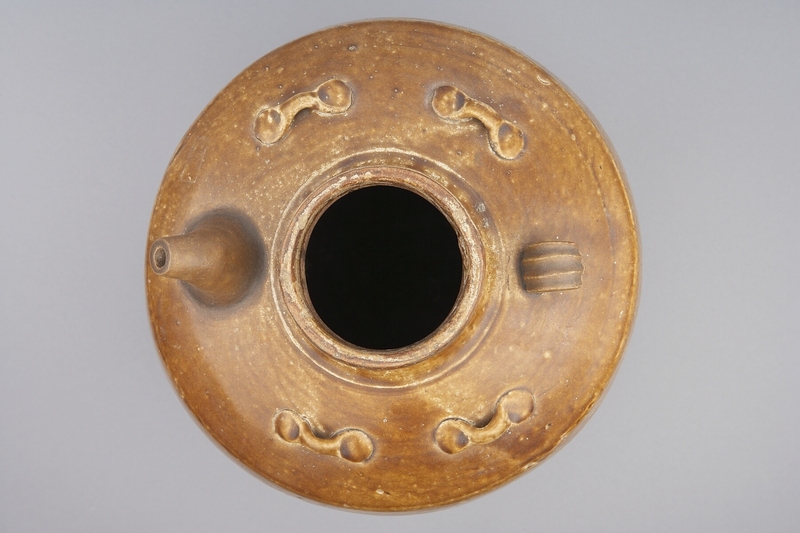 Item number Ia256 from the MOA: University of British Columbia. 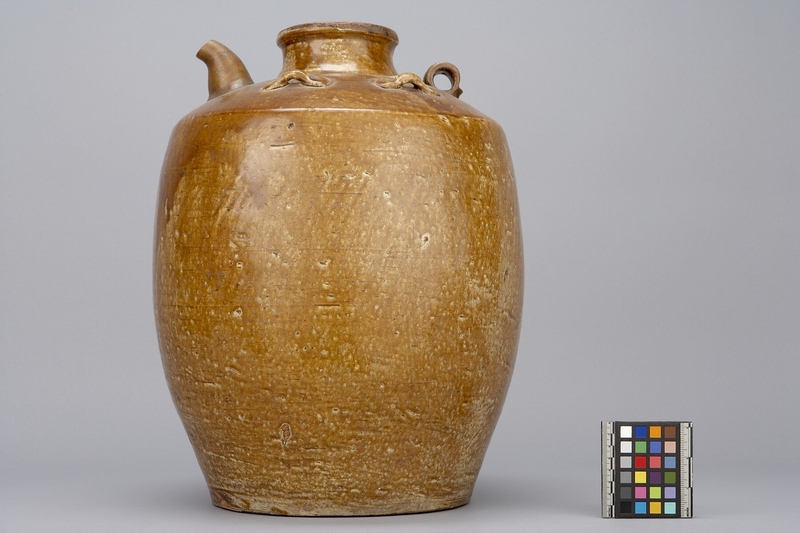 A barrel-shaped jar with relatively narrow mouth and wide flat base. 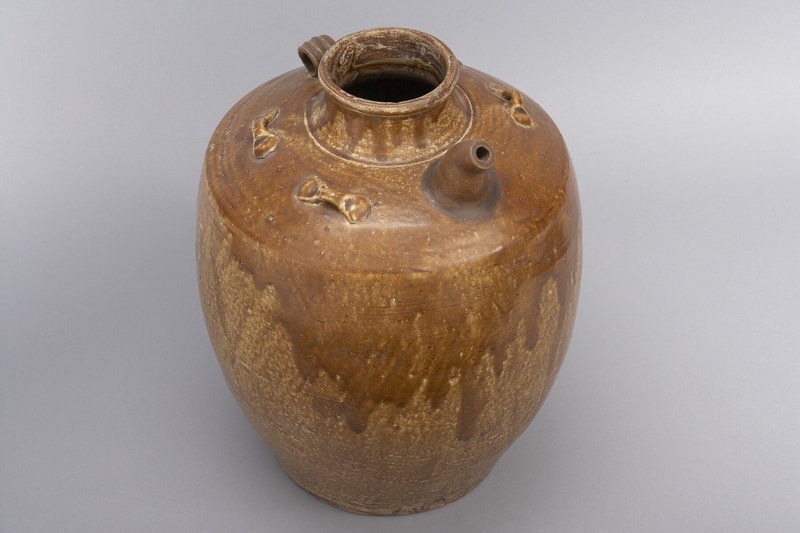 On the shoulder are four plain horizontal lugs, a round double grooved handle and a tall spout.